EVENT: FDNY to Mark Its 150th Anniversary with Citywide Firehouse Tour! 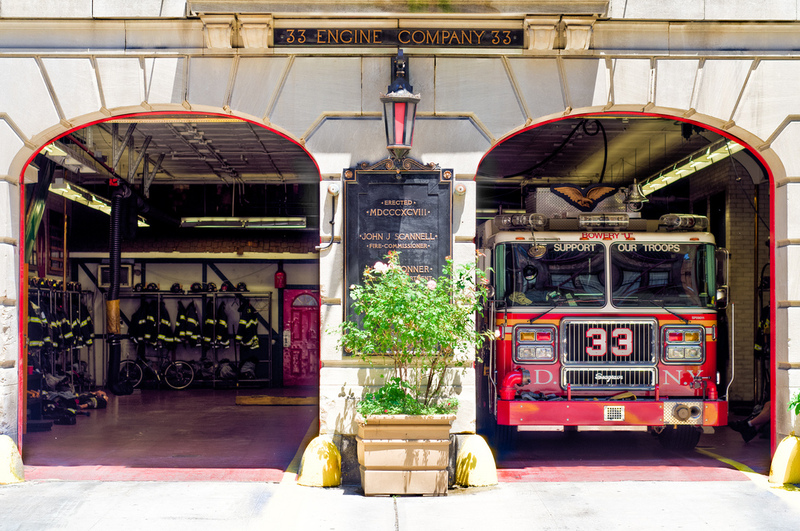 Firehouses represent some of the most beautiful architecture in New York City, and now instead of just peeking inside through the windows (or ogling the FDNY calendar) you’ll have the chance to get up close and personal with these firehouses (and maybe even some of the calendar models). To mark its 150th anniversary, the FDNY is hosting a citywide open house on Saturday, May 2nd where the public will be welcomed inside. There are only two short windows during which every firehouse and many EMS stations will open their doors, either 11am to 1pm or 1pm to 3pm. Of course the event is not just about taking a peek behind the famous red doors. Firemen will be on hand to promote safety protocol, give demonstrations, and provide information to those interested in joining the FDNY. There will also be giveaways like plastic fire helmets and carbon monoxide detectors. To find stations and see their hours, visit this page.